OG had been a team that seemed to be left for dead. Its captain and offlaner both went to greener pastures in EG, N0tail had been struggling to find his place in an evolving meta as the teams carry and while 7mad had made the move from coach to player relatively well no one really expected him to go up against the likes of No[o]ne or Miracle- and win. The former Major champions were on the ropes and risked not even making it through the TI8 qualifiers. This is jumping ahead a little though. When the DPC season began OG was looking to rebuild their strength, adding Resolut1on to the team to fill the vacancy left by Ana. This was after Reso’s incredible TI7 performance where he stood in for Empire and upset EG in the lower bracket. Things started off slowly for OG, barely missing out on qualifying for a couple of events before finally breaking through the pack for Dota Pit. While their results at Dota Pit weren’t great and it was clear N0tail was having trouble gelling with Resolut1on it was the beginning of OG’s slow recovery. They took first place as MDL Macau to earn their first DPC points and would go on to place top 4 at The Summit 8 and Captain’s Draft 4.0, OG was moving up the rankings and it looked like they might even be able to make the new team work. OG continued to assert their dominance over EU qualifiers as they quickly racked up five more qualifier wins, and five more tournament invites. They went on to place 4th at Galaxy Battles which, unfortunately, had its status as a Major revoked by Valve. However, after two disappointing finishes at ESL One Katowice and The Bucharest Major, Resolut1on was kicked and 7mad was thought to be taking his place as a substitute while the team tried to find a permanent replacement. OG won another qualifier but still showed signs of a deeper rooted problem at DreamLeague, only beating Pain Gaming at the event, then at DAC they didn’t make it out of the group stage. OG continued to win EU qualifiers but a troubling pattern emerged when they attended the lan events. At Epicenter XL, MDL Changsha, and ESL One Birmingham, OG did exceptionally well during the group stage, but when it came to the playoffs they only won a single game between the three tournaments. This was the breaking point for OG, and perhaps to the benefit of everyone involved. Fly and s4 left the team and were replaced by Ana, who had been with OG for their Boston and Kiev Major victories, and Topson, a Finnish player whose career had really gotten started in 2017 and was making a name for himself on less successful EU teams. N0tail moved back to support and 7mad went offlane to accommodate their new players and we waited to see how the team would perform during the TI8 qualifiers. Keeping to the tradition set through the DPC they ended up winning the EU qualifier and securing their spot to TI8, but the way they did it was somewhat different with this new team, they didn’t just beat their opponents, they outright crushed them. OG has a very similar problem / advantage as EG, neither of them have played together with their roster for very long so it’s very difficult to tell what they are going to do but at the same time they may not be entirely comfortable playing together with so few official matches under their belt. OG did go 7-0 through the group stage of TI qualifiers and then only lost two games during the play-offs with one being to a last pick huskar. Ana’s safelane Ember Spirit proved to be effective against the other teams in the EU qualifier, ganking lanes when he hit level 6 by leaving a remnant and tping in to help turn a fight before going back to his lane to continue farming. It’s not something we often see from Ember Spirit, mostly due to the hero normally being played in the mid lane but it was quite a creative use of the heroes spells. The issue with this is that Ana may not see his Ember Spirit too often if other teams have been paying attention at TI. OG picked the hero for him 11 times during the EU qualifier, and would switch to either PL, Bloodseeker, or Luna if Ember was not available. It’s an extremely small sample size but one would hope that Ana will be capable of playing more heroes in the safelane or teams may be able to strategize around him during the draft and early stages of the game. However Ana is not alone and while he may have only been playing a few heroes he is quite proficient with them. The new mid laner Topson rarely seems to have a bad game, even when his team is losing. His addition to the team may be the light of hope they have as the head to Vancouver. Topson’s Pugna in particular helped get the team past WAR in the upper bracket finals and grand finals as he dominated the mid lane by using Decrepify to secure denies and thus gain a level advantage over his opponent. Topson has also been playing a mixture of Invoker, Windranger, and Zeus mid, all of which have looked pretty good in his hands. He occasionally switches lanes with Ana depending on the matchup mid but regardless of what lane he is playing in you can find him in the center of most fights throughout the game. If he sees an opportunity he will attempt to push towers extremely easy, mostly due to the kinds of heroes he has been playing but even when given Monkey King he’ll often push the waves quickly and try to get chip damage as often as possible. He opens up the map for his team although sometimes he also just feeds while trying to take a tower, you can never really tell if he’s pushing alone or if he’s baiting with his whole team behind him. 7mad has been playing a mixture of initiators and team fight control heroes like Brewmaster, Beastmaster, and Magnus while picking up utility items that allows the team to push with relative ease. He’ll pick up an early medallion in some of his games to secure an early rosh, or a quick pipe to make sure they can push down towers and sustain against any spells the opponent may throw out at them. He plays to support his team but farms while doing so and picks up Orchid, Scythe of Vyse, Vlads, or a Lotus Orb if it’s what his team needs to win the game. 7mad’s item choices are usually on point and is definitely one of his strong suits. This combined with Jerax who is usually either on a hero that can help the team push like Chen or on something that scales much better with items and levels and is allowed to play a little bit greedy like Windranger, Clockwerk, or even Phoenix. It feels like JerAx’s play has changed the most out of the members on OG even though he’s the only one who didn’t change positions although we may still see his Earth Spirit make an appearance every now and then. While this is all somewhat vague, all anyone has seen from OG has been their TI qualifier run and they showcased some strong coordination in team fights, great rotations in the early game, and a lot of areas outside of that which will definitely need to be worked on if they want to beat the rest of the competition at The International. Ana has come back to where he first started out and where he originally made a name for himself. 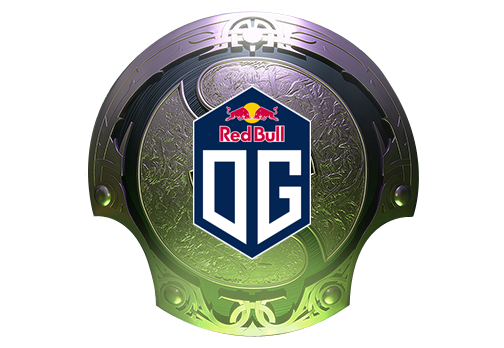 While OG’s performance at TI7 was by no means bad, finishing 7th-8th overall after narrowly missing out on the upper bracket, Ana will no doubt want to improve on that placement this year. His new role as the team’s carry has yet to be fully fleshed out and it appears that they only have a limited number of heroes to put him on at the moment, but it’s also possible that Ana didn’t have to show everything he has prepared during the qualifiers. Only time will tell how well his transition to the safelane goes. The finnish pubstar Topson has made a decent impression during his TI qualifier run. He’s a very active player who doesn’t shy away from a fight if he believes he has a chance of winning it and taking objectives off it. His Pugna and Windranger were both instrumental in getting through the open qualifiers, while he’s also not afraid to pull out a mid Skywrath Mage and style on his enemies with some heroes rarely seen in a core role. OG’s success at TI8 rests squarely on his shoulders as he seems to rarely have a bad game, but when he does and has difficulty recovering the team as a whole suffers greatly. The former coach-turned-player of OG didn’t look great in the mid position. He was capable of playing the role but struggled to keep up with players who had been practicing day in and day out just for that 1v1 lane. His transition to the offlane has been much cleaner and dare we say 7mad actually looks quite comfortable in the offlane. His item choices are almost always on point and exactly what his team needs, his positioning has been fantastic, and his hero pool seems wide enough to comfortably allow OG to try out many different things in the offlane. JerAx made his name in HoN but he’s come a long way since then. He joined QPAD in 2013 but it wasn’t really until he joined Team Liquid in 2015 that his star status as a 4 position became cemented in everyone's minds when we watched him single-handedly control games with his Earth Spirit. Lately that fire seemed to have been going out in JerAx but something has once again changed as we have begun to see a little bit of the Major winner return to form. We’ll have to keep an eye on him and see what he pulls off at TI8. Big daddy N0tail has returned to the support role after years of playing carry, quite successfully I must add. Lately he has looked quite lost in the role and so the move to support has been welcomed by many fans of the team in hopes that he finds his footing and returns as a stronger player because of it. N0tail has been on OG since its inception as Monkey Business and is now the only founding member of the team that is left. His journey through the TI qualifiers saw him mostly playing Witch Doctor but there is hope that we may once again see the return of some of N0tail’s fabled micro heroes which brought him great success in the past. I'm optimistic of their chances If not this TI then after assuming they don't disband. Topson is a joy to watch. What a terrible guy. Everyone mocks ana, and everyone mocked him while OG was winning majors with the guy. I fully expect him to be better than everyone thinks. Again. Nono I mean Ana screwed over a guy who gave him home, money, managed him and got him to the scene, Wobbly_Au. Probably you mean Terrific. Haha, sorry to nitpick. But I completely agree. Topson plays are terrific and Ana is being bashed unfairly. He is so much better than most people think. He just needs a bit of confidence boost by his teammates and he can do miracles. He is still no Miracle- by all means, but still. Amazing player. Laugh... And the world laughs with you. Cry... And the world laughs louder!! !